← My Story of Why I Do What I Do. To solve problems you can’t just think about them; you must act. When I was in 8th grade, my history teacher assigned our class a research project. This project required us to learn about the history, politics, culture, and food of a country of our choice. Somehow, my partner and I ended up choosing Cambodia. I cannot remember why we chose it, since I am not sure when we had ever heard of it before. Yet, in choosing Cambodia, I started down a path of learning that continued from 8th grade through graduate school and to my teaching today. While doing research, I stumbled across a memoir of a girl who was about my age when the Khmer Rouge came to power in Cambodia. I devoured the book, learning about the murderous regime through the eyes of a teenage girl. I struggled to understand how this cataclysm happened; how one group could torture and kill another so easily; and, ultimately, why so little had been done to stop it. As I studied history through high school, college, and graduate school, I returned to the themes raised in this Cambodian memoir. I love history because it tells such compelling stories about who we are and where we came from. For a long time, I thought history might be able to answer my questions about genocide, hatred, violence, and human nature. But, as I dug into further, it became clear that history alone could not help to answer them. I needed to understand how history linked to philosophy, psychology, biology, literature, art, politics, language, and religion. I needed these disciplines to find answers to my questions. I love history, which is why I teach it. Yet, I learned through my studies that history alone cannot help us understand the world, address challenges, and prevent future problems. As a history teacher, I use the subject I am most passionate about to teach this lesson. My students may find their passion in physics, poetry, physical education, or politics. I will have succeeded as a teacher if they are also able to recognize and forge connections across disciplines. One course in a student’s high school career is not enough to show connections across subjects. This interdisciplinary approach to collaboration, learning, and innovation must be fostered throughout school. The Global Studies Concentration is one of the ways at Rutland High School we are providing our students with the time, support, and space to think broadly. Because of this structure, a student asked: How does narcissism affect our sense of community – locally and globally? To begin answering the question, she developed connections between such disparate topics as history, current events, psychology, literature, pop culture, and charitable giving. This concentration is not just about thinking and studying though. It is also about taking action, because to solve problems you can’t just think about them; you must act. And, we need all people, not just those who are heading off to college to act. One student asked how women could be empowered. After studying history, media, politics, and advertising, she is helping to empower women through a new unit in 9th grade health classes. In 8th grade, I began to ask big questions about the world and history, but it was only in college and graduate school that I had the support and time to expand outside of history into the connected subjects in order to learn more deeply. Yet, I was never encouraged to take action on my learning. I teach history and Global Studies because students should not have to go to college or graduate school to have the opportunity to learn in this interdisciplinary way. And, I am not sure the world can wait for our students to get there. We need leaders to solve complex problems now. 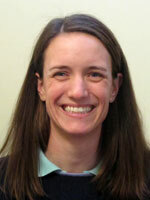 Rowland Fellow Jennifer Kravitz is a member of the 2012 Cohort and is a Social Studies teacher at Rutland High School. Her work as a Fellow is centered around the Global Studies program which she developed and leads. This program provides students with interdisciplinary, globally focused classes. Students have many opportunities to extend their awareness of global topics and issues, and develop knowledge and skills to become more informed, engaged, and socially responsible citizens who embrace cultural diversity. This is a chapter from Jennifer’s story. Tell us yours.